The Missing No More list grows larger, thanks to the Warner Archive. No, they haven't been perfect; they still haven't put MAVERICK out in single season sets yet, only a 3 episode sampler. With THE PHIL SILVERS SHOW now out there, MAVERICK and LOVE THAT BOB! are unquestionably the 1950's series most in need of the Complete Season treatment. Television quibbles aside, the folks at Warner continue to make us happy with their film selection, bringing for the first time to DVD two more longtime M.I.A. 's reviewed during The Horn Section's debut year online in 2006. 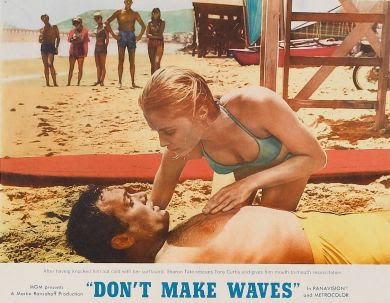 Warner Archive's latest release is 1967's DON'T MAKE WAVES, reviewed at the Horn Section here. The late Tony Curtis was reunited with his SWEET SMELL OF SUCCESS director Alexander Mackendrick in what would sadly turn out to be the latter's swan song. It was arguably Curtis' last good comedic role as a leading man (unless you want to count William Girdler's legendary THE MANITOU) and probably Sharon Tate's best performance. 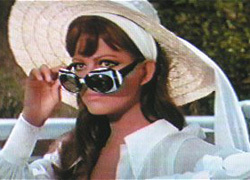 The term "eclectic cast" was meant for films like this: Claudia Cardinale, Mort Sahl, playmate China Lee (at the time Mrs. Sahl), Robert Webber, Dave "Mr. Universe" Draper, Edgar Bergen, and, playing themselves, Jim and Henny Backus! 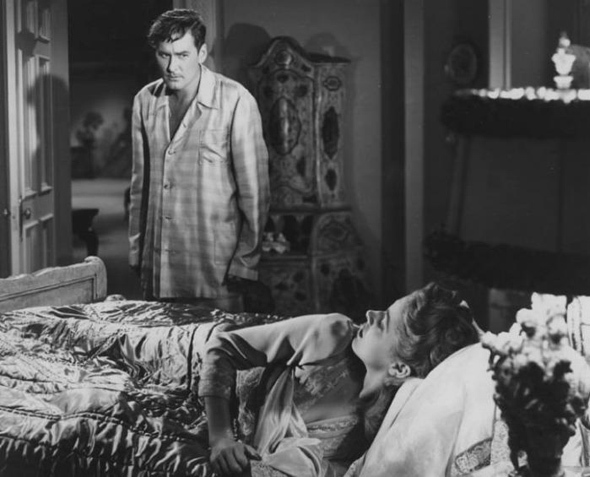 Comedy was never considered Errol Flynn's forte, but the action star acquitted himself well in NEVER SAY GOODBYE (reviewed here) despite a weak script. Warner Archive has been releasing much of the star's neglected post-WW2 output, and while GOODBYE isn't a great film, it does have several points of interest: Forrest Tucker showing off his comedic chops long before AUNTIE MAME, the eternally gorgeous Eleanor Parker as the lady both men are wooing, and Oscar winner Hattie McDaniel. Two down, but many more out there...Number 58 is on the way.